"This is my 1st house and Karen's hard work, dedication and professionalism made the whole process VERY easy. I would highly recommend her to anyone I know!" "Karen has acted as a selling and buying agent for me on multiple deals. She is as professional as she is a pleasure to work with.I consider her to be a very important part of my business. On a scale of 1-10, I would give her a 20! Keep up the good work!" "I am happy to write this review on Karen. My husband and I first contacted Karen when we began looking at homes in Saginaw, MI in June 2011. Since that time, we have bought 8 homes from her and each negotiation and closing has gone MUCH better than anticipated. Karen was always able to be reached by cell phone and her response time to emails was phenominal! We are quite impressed with her professionalism and would recommend her to anyone looking for a hard working agent who has their clients best interest in mind :-)"
"I have worked with Karen on three different home transactions and would highly recommend her to others who are looking for someone with great experience. Karen is very responsive to your questions and concerns throughout the process and I value her opinions as someone who sees a wide variets of properties and has the knowledge base to go with it. Karen is a pleasure to work with!" "Ms. Antal is a hard worker, caring and really listened to exactly what we wanted in a home. She made the entire home purchasing experience smooth and stress free. I highly recommend Karen as a realtor if you are buying or selling a home. She listens to the client and cares about what they want. I am so thankful we found Karen, she is fair, honest and available at your convenience, not hers." 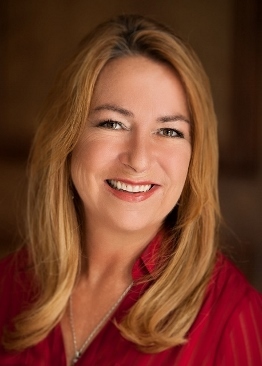 "I have purchased and sold all of my homes with Karen Antal for over 15 years. She is detail oriented, thorough, persistent, always keeps appointments and does her very best in negotiations as a buyers and a sellers agent. I have recommended Karen to several people and they have utilized her professionalism and continue to do so. She works long hours, seven days a week to provide her clients with the best choices, options and locations. And always with a smile, good sense of humor and positive attitude! Her services are stellar!" "What a pleasure to work with Karen. She is professional and caring all rolled into one. This is the third time we have worked with her and I'm sure we will be calling her again." "I was very happy with Karen. I would recommend her to anyone. I felt like she went above her line as a realtor. She was there every step and made it very easy to find and get the house." ""Karen was wonderful to work with. From start to finish (or listing to closing), she was very professional and honest. She gave excellent advise on determining our house's market value and guided us through the entire process. Her expertise was invaluable to us. We moved out of state and left the sale of our house in her hands. She did several open houses (anytime we asked) and promoted our home on social media sites. The entire process was made smooth by her efforts. I would highly recommend her to anyone looking to sell or purchase a home. Thanks again, Karen!" ""Karen is amazing! She was wonderful to work with! She was able to sell our home and get us into a new home within the span of about 4 weeks. She has just the right amount of drive without being pushy. She can be the voice of reason when needed and was always honest with us. She is so kind, caring, and able to get the job done all with a smile on her face and making it feel like we've known each other forever. She is so pleasant to work with and made herself very accessible to us. I will enlist her help again if needed!" "Karen is the best real estate agent I have I ever had!" "If I know any who needs to sell their house, I will definitely reccommend Karen. Karen has what it takes to be a sales leader." "Karen is a great person to work with...always on time and courteous." "We loved having Karen around. She helped us find the perfect house." "Buying a house was a time consuming process, but, Karen made it so much better. She was always available and more than happy to answer our questions." "Thank you Karen. We appreciated everything and you will be hearing from us in the future." "Thank you Karen, We really appreciate all you've done for us. You treated us like family, which made everything go smooth. BEST REALTOR EVER! We will make sure we keep in touch and I recommend everyone to you." "Karen Antal truly has her clients best interest in mind, whether its looking to by a new house or selling your current home. We moved to another state and gave Karen the contract to sell our home, and within 3 weeks we had a buyer, with closing within 5 weeks after listing our house. She can explain all the ways she lists your house, but let me tell you she will cover all the bases. She is a honest, trustworthy, competent, hard working, caring individual that will do any person using her services proud and leave them extremely happy. We are currently going to have here sale another house for us that we currently rent out." ""I have known Karen for a cople of years. She has been with me house hunting and finally we found the home for me. She is very good at her craft. She would always find a home that I would like and send me information about the home at least twice a week. Her communication skills are excellent when negotiating cost of the homes with owners. I never felt like I went too high when placing an offer for a home." 2778 Briarwood Dr, Saginaw, MI 48601"